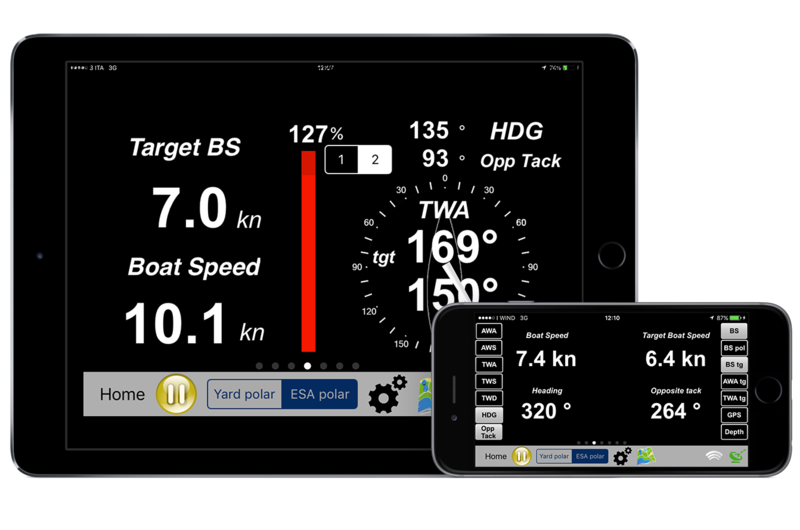 A revolutionary system which supports sailors in monitoring and getting the best performances of their sailing boats, both in regatta and cruising. esa (easy sailing assistance) Regatta, is a software able to monitor all the useful data and to provide the information on the boat performance in real time. Thanks to the powerful algorithms exclusively developed by Astra, esa Regatta is able to provide an automatic analysis of the performance, providing the best directions for a winning navigation to sailors of all levels. The ideal tool for professionals and amateurs: an advanced software appropriate for the more complex international regattas, but at the same time simple and clear to use. The esa Regatta system is a tactical navigation software designed for sailors of all levels, that allows to improve and analyze the navigation in an efficient, intuitive and complete way. Efficient: an automatic system that collects information from the boat independently, and provide feedback relating to the ideal target, in real time. Intuitiva: per usare efficacemente un software non è necessario essere degli esperti; esa Regatta è stato studiato per fornire tutte le indicazioni anche a un livello professionale tramite un’interfaccia chiara, concreta e immediata. Intuitive: you don’t need to be an expert to use a software in an efficient way; esa Regatta is designed to provide all the information even at a professional level through a clear, concrete and immediate interface. Complete: the performance targets are comparable to the most famous and complex software in the market, popular among sailors and designers for the quality and quantity of information. An essential tool in the most competitive competitions, defining the best set-up for your boat, but also a pleasant support in cruising. Esa Regatta is characterised by two main components, which makes it unique. 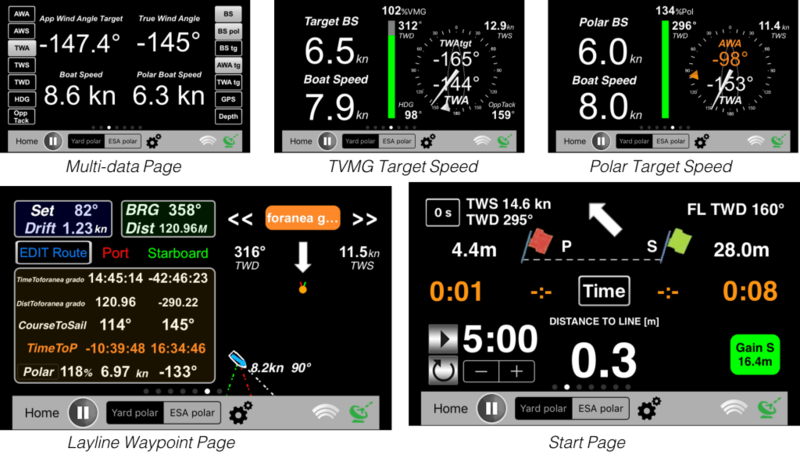 the automatic system of calculation in real time of the polar of the boat. 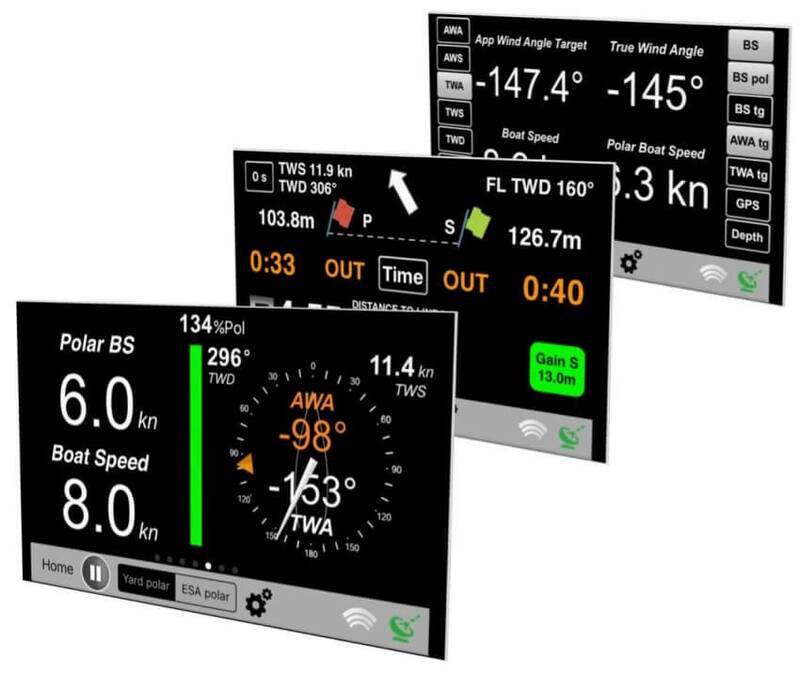 Esa is able to build and constantly update the representation of the polar of your boat, due to the patented algorithms, a real-time performance database, which allows to underline the characteristics of your boat and to identify its performance in relation with all weather conditions. 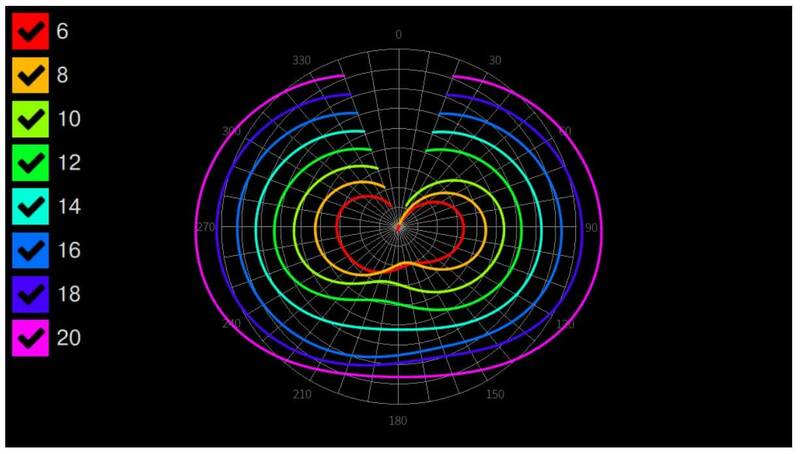 the real-time navigation target, which allows to evaluate both the performance obtained on the whole and achieved in each moment of the navigation, as well as the comparison of different sails and any other possible change, becoming an indispensable tool for the selection of configurations to be used in racing. The comparison between the targets provided by rating certificates in various configurations and the real target achieved by esa Regatta allows the crews to really understand the level of competitiveness of the choices; the difference between winning the race or participating. It includes an integrated route and waypoint management system and the layline computing system, allowing to have always correct and reliable information. 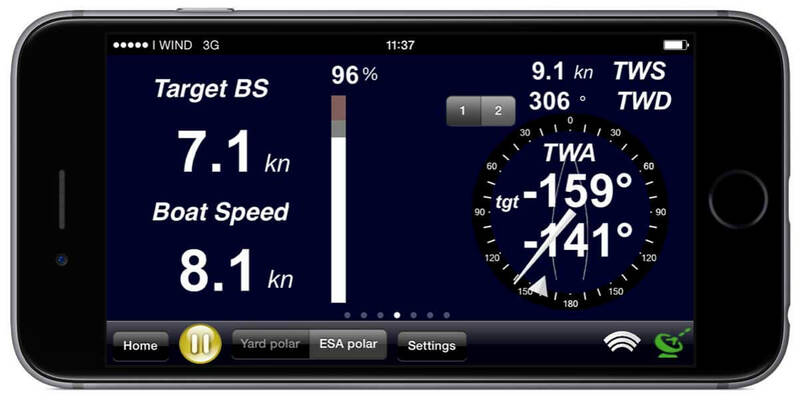 Esa Regatta is a very flexible system, that can be used in the better way concerning the needs of each sailor: without compromises, it offers advanced performance in each of the mobile devices on which it is available (iOS devices such as iPhone, iPad and iPod, esa Watch and also dedicated version in esa d7). New sails or modifications made to the boat enabled by the esa system can be finally reviewed through short navigation and real-time comparison with past performances. No longer lengthy adjustment sessions to prepare the boat to the benefit of the few. The esa system is definitely more reliable than any other system for monitoring the performance of navigation which uses the internal GPS of your device and is more complete and easier to use than the PC programs used by professional navigators. A system developed by and for sailors, with long time experience and successful development, designed for provide support at all levels, from esa Regatta in its basic version to the Pro, which offers more features dedicated to the world of racing. For the free functioning of esa Regatta and PRO application it is necessary that all the on-board instruments have a NMEA 0183 data output. 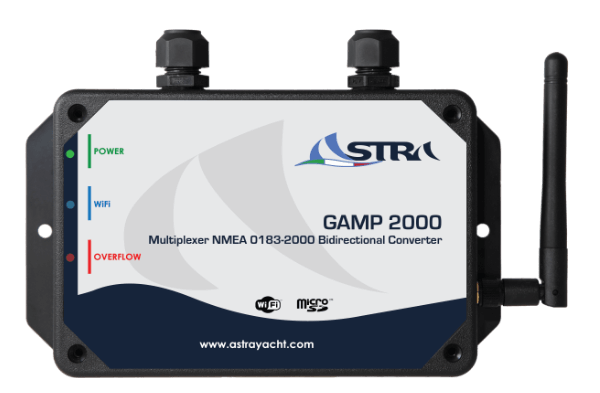 If the instrument panel does not have the NMEA 0183 output it is possible to install a compatible converter sold separately. It is possible to receive all the data through WiFi by connecting the gamp by Astra (0183 or 2000 model) in the esa enable version. Astra Yacht is an Italian company founded in 2010, operating in the yachting sector, developing high-tech innovative systems to improve the navitagion experience. Discover all Astra Yacht products in our shop.